Anthony K. Harvey sent in a great Fan Art picture entitled Twi'light. Thanks to Anthony for making this great contribution and sorry for the delay. This piece features a female Twi'lek Jedi with joined lightsabers (obsidian-colored crystals). To see his work and other great pieces, go to the Fan Art section! 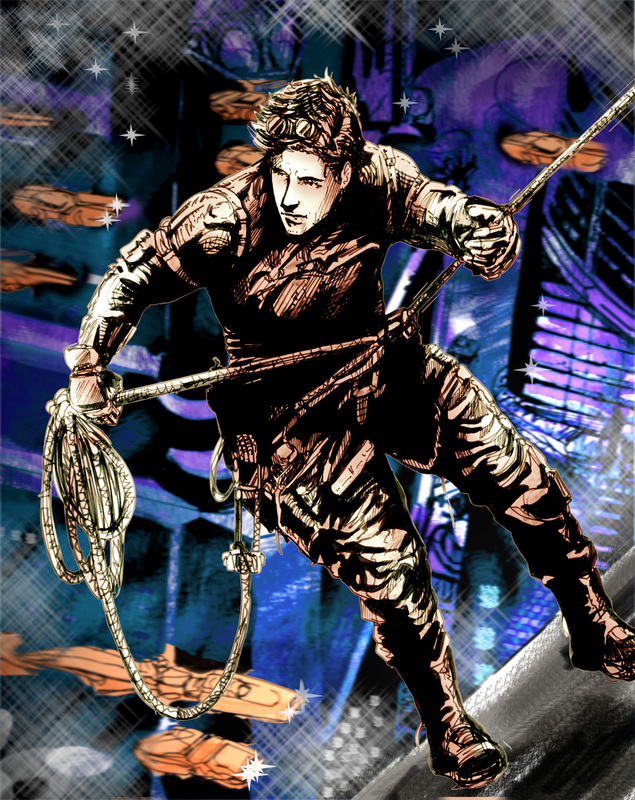 Steven Criado sent in a couple of great new Fan Art collages, with one being for a fan comic. Thanks to Steven for making this great contribution and sorry for the delay. To see his work and other great pieces, go to the Fan Art section! If you have some cool fan art, send it in! The latest Homing Beacon has arrived. Though most fans would find it hard to believe, there was a time when Star Wars was a huge gamble. Gary Kurtz, the producer of the original Star Wars and The Empire Strikes Back, had to face a world of skeptical studios executives who couldn't fathom George Lucas' outer space fantasy ever becoming a crowd-pleaser. "The atmosphere in the studios was not very partial to sci-fi," recounts Kurtz. Even the most popular sci-fi film at the time had been a meager success in the eyes of Hollywood executives. "2001 had come out in 1968 and took six years to make its money back," he says. But Alan Ladd Jr. at 20th Century Fox had enough faith in Star Wars to greenlight the project. "It was the cheapest film that they had on their slate that year; everything else was more expensive, so even if they didn't make their money back and just broke even, it would be okay," says Kurtz. In the almost three-decades since the debut of Star Wars, the movie landscape has changed so radically that the quieter days of 1977 seem almost alien in comparison. "In the box office takings nowadays, the opening weekend is the key thing. In the '70s, the style of release was quite different," says Kurtz. "Most films were platformed, which means they were tried out in a few cinemas, and then expanded over time. In this case, we were stuck, as Star Wars was one of the first films with Dolby Surround sound and Dolby stereo mix. We only opened in cinemas which had Dolby stereo installed, and cinemas were so reluctant that Fox had to guarantee they would recoup the costs of the installation, and said they were willing to pay for the costs of removing the equipment if cinemas didn't want to keep it!" From the initial 32 theaters on May 25, 1977, Star Wars's release grew to encompass hundreds of theaters, but it was still just a fraction of the number of theaters most big films open nowadays. What contributed to its box office success was months, not weeks of steady business. "It was never in more than 600 cinemas at one time," says Kurtz, "but it played for a long time; some ran the films for six months! You'd never have that these days. A big film will open in 4,000 cinemas and be gone in three months." The dramatic uphill struggle to make Star Wars is extensively documented in Empire of Dreams, the feature-length documentary found on the Star Wars Trilogy DVD that debuts on September 21. Kurtz is one of the dozens of personalities interviewed in the film. I will not be updating Galactic Voyage for the next couple of days in honor of Frank Vogl. Frank was my father-in-law who died today from a battle with cancer. He was only 63 years old. Frank was survived by his wife Carol and the family will miss him dearly. Thank you for understanding and please pray for the family to be able to get past this great tragedy. Today I have added a new Fan Art picture. Michael Miller sent in this new creation featuring Jedi lightsabers! Thanks Michael! Good luck overseas. To see his work, head over to the Fan Art section! 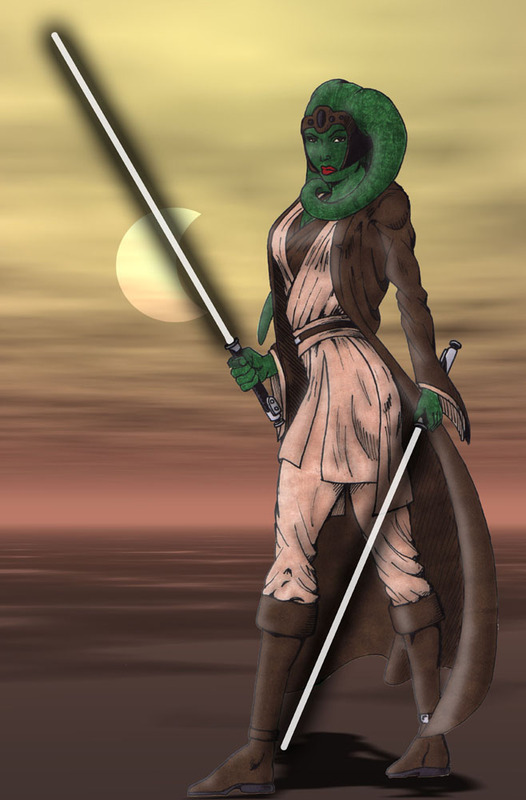 Adrian Parker sent in a great new wallpaper of Aayla Secura. 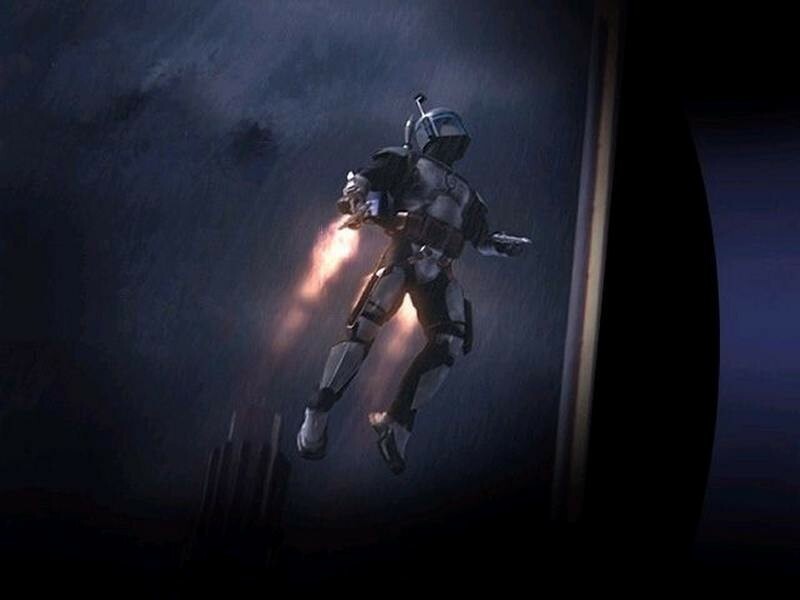 I have also added another wallpaper of Jango Fett from an unknown source. To see these wallpapers and other great wallpapers, head over to the Wallpaper section! Special thanks to Adrian Parker for the great contribution! Captain Sith Park sent in a great e-mail about 'Empire of Dreams' that will be featured on A&E. Considering its not the full version, it's still amazing- 55 minutes is devoted to 'ANH' ,and about sixteen minutes each on 'EMPIRE' and 'JEDI'. Though there is no real new info on the making of the films, the visual material is STUNNING. The section on 'ANH' alone has some great behind the scenes, outtakes, scenes from different camera angles with different acting delivery/pre dubbing, some surprises, and half a deleted scene and a scene extension (a little clue- they both involve back projection!!). Looks like we may see bits of deleted scenes (Back projection referring to Luke/3po flyin' round in the landspeeder) in amongst the featurettes. What a great report! Thanks a lot Captain Sith Park! I can't wait for the DVD or the A&E special. The Official Star Wars Site has announced some of the Star Wars titles Dark Horse Comics has planned for November. Well, look at you -- a General! Hotshot Rebel pilot Luke Skywalker receives a surprise field promotion to General as part of Commander Narra's plan to enlist the aid of an unexpected ally. Find out more in Star Wars: Empire #27, the second part of a two-issue arc written by Ron Marz, with art by Nicola Scott and Michael Atiyeh, and a coverby Tommy Lee Edwards. This issue is scheduled for release on November 3. November sees the debut of Star Wars: Obsession, the five part story arc that leads into Episode III. While Anakin enjoys a brief respite from the Clone Wars and a fleeting reunion with his secret wife Padmé, Obi-Wan embarks on a personal mission. On the frontier world of Trigalis, he is determined to track down information on the whereabouts of an enemy he can't forget. He's become obsessed with finding Asajj Ventress, even though such focused determination strains the rules of the Jedi Code. Star Wars: Obsession #1 begins the countdown to the events of Episode III. It is written by Haden Blackman with art by Brian Ching, and a cover by Ching and Brad Anderson. It is scheduled for release on November 17. Star Wars: Republic continues covering the Clone Wars, with the finale of the three-part story "The Dreadnaughts of Rendili" told in issue #71. 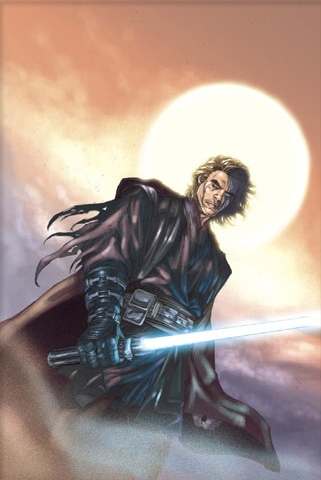 In it, the Jedi feverishly try to stop the Separatists from commandeering the Rendili Fleet, Quinlan Vos is captured and brought to justice, and Anakin squares off against Asajj Ventress high above the dark alleys of Coruscant. Star Wars: Republic #71 is by John Ostrander, with art by Jan Durseema and Dan Parsons, and features a cover by Duursema and Brad Anderson. It is scheduled for release on November 24. The latest Homing Beacon has arrived, and today we get to talk Kashyyyk. The Wookiee homeworld of Kashyyyk has the odd distinction of being a world established in detail by George Lucas, but that has only been explored thus far in the expanded universe. During the development of the original Star Wars, Lucas had planned a journey to the Wookiee homeworld but the evolving storyline and budget realities kept the arboreal world from appearing on the big screen. Nonetheless, Lucas' detailed notes about Wookiee ecology and culture became the springboard for a number of authors and artists who weren't limited by fiscal restraints -- any planet can be visited in a comic book, for instance, for the same costs. The Wookiee planet of Kashyyyk appeared in the Marvel run, the Star Wars daily newspaper strips, and even on television in "The Star Wars Holiday Special." Finally, the Wookiee homeworld will be given the movie treatment in Episode III. "It's a tropical, but cool planet," describes Concept Design Supervisor Ryan Church. "The only real directive we got from George is that they live in giant trees." In developing the look of Kashyyyk, the Art Department first turned to the much-maligned 1978 television special to see what had come before. "We watched that on a loop about four or five times, avoided suicide, and went back to work," laughs Church. Though produced on a variety show scale, the Holiday Special's Wookiee world (then called Kazhyyyk -- pronounced, oddly, as 'Kazook') did have an establishing shot of a Wookiee domicile rendered as a painting by Ralph McQuarrie. The set built for the show -- the inside of Chewbacca's home -- was a mix of flashy sci-fi tech and carved-from-wood naturalism. "We wanted to have a sort of high-tech Frank Lloyd Wright feel where the Wookiees incorporated the natural environments into their living conditions," says Church. "George was very specific about not wanting to see the same thing over and over again. We're visiting a lot of planets in Episode III, so when we cut to Kashyyyk really quickly, you have to know where you are." The end result will be a single city on Kashyyyk that straddles several massive trees. Though other published sources have explored the thickest areas of jungle canopy, Episode III's location is on the shore of a tree-lined lagoon, offering greater visual dynamics and story potential. In Episode III, Kashyyyk will be at war, and as such, the Art Department needed to develop Wookiee instruments of warfare. "We wanted it to look distinct from what the rest of the cultures in the Star Wars universe use," says Church. "Feng Zhu did a lot of these technical illustrations, and came up with a very unique aesthetic. I wanted to come up with a type of vehicle that implied that only a Wookiee could handle it. Like they took some kind of technology that's out there, and they commandeered it and modified it for their own use." If you'd like to see a slideshow of over 40 concept art images of Episode III Kashyyyk, be sure to check out this article, available only to Hyperspace subscribers. Hasbro has several new figures to see. There is the new Artoo which directly replicates the original’s head-click mechanism with pop-up sensorscope. He is equipped with an interchangeable front panel simulating opened and closed panels and comes with additional exciting features. See Artoo here. There is Chewbacca, which is inspired by Return of the Jedi, the new vintage version of Chewbacca was designed to achieve a sculpt height that reflects true Wookiee figure height (5 inches). He is wearing nothing but his bandolier and comes with a bowcaster. See Chewbacca here. There is Boba Fett, which is inspired by Return of the Jedi. The new version of Boba Fett comes with a backpack that press-fits into his back, a rifle that he can hold in multiple poses, and a soft goods cape. See Boba Fett here. Then there is the Stormtrooper, which is inspired by Return of the Jedi. Considered the best 3 ¾” stormtrooper ever, the Stormtrooper comes with a standard issue blaster that fits in a holster. See the Stormtrooper here. So many figures coming, and no money to spend. How depressing! Official Star Wars Battlefront Website Goes Live! LucasArts has officially announced that the Star Wars Battlefront website has gone live! Star Wars Battlefront is an intense open-ended multiplayer action game set in the Star Wars universe due out this fall for the PlayStation 2 computer entertainment system, Xbox video game system from Microsoft and the PC. For more information, please visit the official website at www.starwarsbattlefront.com. It is a very nice looking site that has been created using Macromedia Flash. Be sure to check it out! Chance Allison sent in an article from Reuters in the UK. Thanks Chance! George Lucas, creator of blockbuster films such as "Star Wars" and "Raiders of the Lost Ark", has announced plans to bring his creative empire to Singapore in the first overseas foray by his entertainment group. Lucasfilm is setting up a venture with Singapore's government to produce digital animation for films, TV, and video games -- its first government collaboration and reflecting the growing popularity of animation in Hollywood and Asian films. Some of the highest-grossing films in recent years -- from "Shrek 2" to "Finding Nemo" -- have been based on computer-generated animation. In Asia, the genre is led by Japanese anime, a style born out of Japan's love affair with comic books. Lucasfilm aims to blend those genres -- Western animation and Japanese-style anime -- at the new Asian studio, Lucasfilm Animation Singapore, which is 75-percent owned by Lucasfilm Ltd. The remainder is held by a Singapore state-led consortium. The Hollywood studio's arrival comes as Singapore is embracing creativity to sustain its economy. Arts now form a cornerstone of government policy -- a radical shift in nation known for its strict censorship and tight social controls. "We look to Lucasfilm as a queen bee of sorts to help develop our industry," Teo Ming Kian, the chairman of Singapore's Economic Development Board, told a news conference on Tuesday. "As an investor, we look to very good returns from this investment but we see far more strategic returns to Singapore." The Asian animation unit, which is looking to hire about 300 people in Singapore, will focus on production work while the design and script-writing will continue to be done in its Marin County, California headquarters. In Hollywood, competition for digital animation is growing. DreamWorks SKG, which created the "Shrek" series, plans to spin off its animation studio to raise $650 million (358 million pounds). Other rivals include Pixar Animation Studios Inc., whose films include "Toy Story" and "Finding Nemo", and Walt Disney. But a Singapore office could lead to Asian collaborations. Japanese game makers Koei and Genki will set up game development studios in Singapore by the end of the year, a Singapore government official said. Under a "Media 21" policy rolled out last year, Singapore plans to double the size of its media, design and arts industries to contribute to 3 percent of its $93 billion economy by 2012. Micheline Chau, chief operating officer of Lucasfilm, said Singapore was picked ahead of many competing Asian countries because of its strong intellectual property rules. "What was very important to us was the commitment to protect intellectual property rights since we are a content producer." Under the U.S.-Singapore Free Trade Agreement that took effect in January, the wealthy city-state's intellectual property laws were harmonised with those of the United States. The government said last month it had set aside about S$200 million over five years to develop Singapore into a "vibrant Asian creative hub". In December, Singapore earmarked S$100 million to develop documentaries and films, with a goal to produce up to five low-budget films a year. A new city neighbourhood designed for media companies, dubbed "Fusionpolis", is now being built. 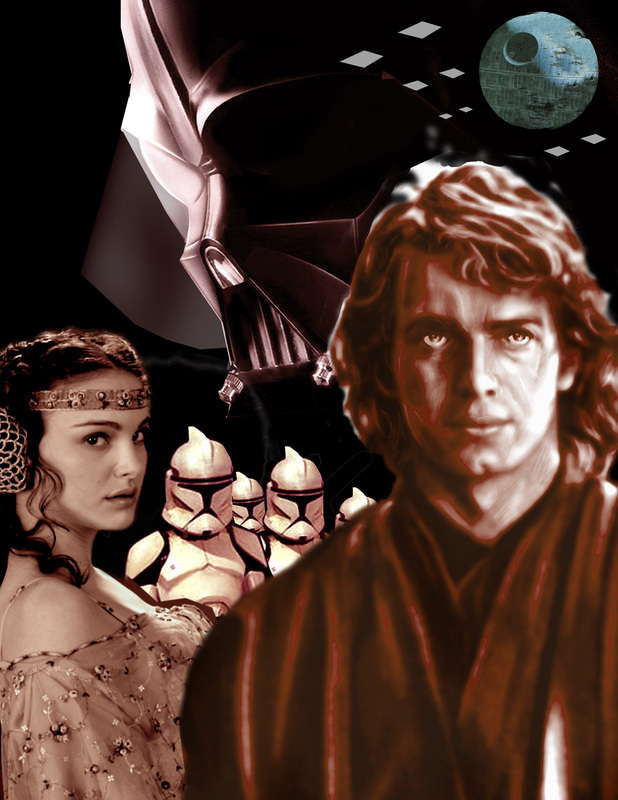 GROWING UP JEDI: What is it like to become a JEDI KNIGHT? Arianaeirlys has done an outstanding job with Issue #4, and I think you all will really enjoy it! So go have look at the new Coruscant Courier Issue #4.